I have been involved in the wildlife and tourism industries since the mid eighties when I became a volunteer for a Vulture Study Group. As I watched the vulture, and learnt about them, I became more and more fascinated by this bird and its habitat. Soon my part-time ventures into the wilds of Africa became fulltime. 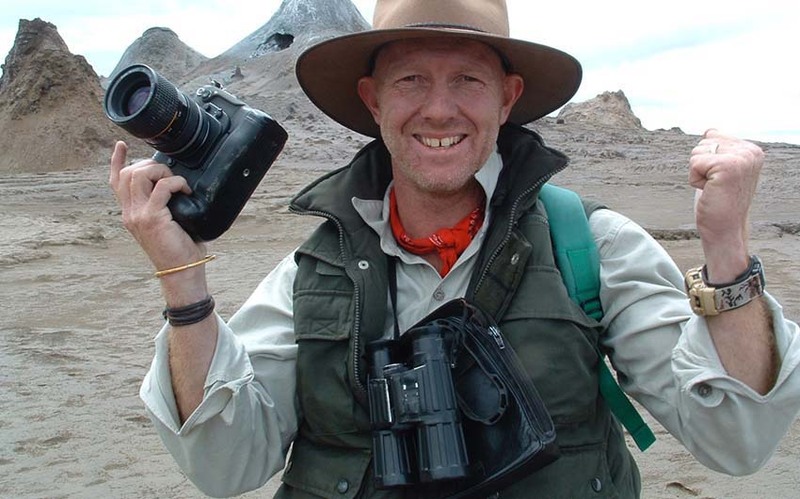 I have been incredibly fortunate to have been involved in so many interesting projects during my years in these industries…..from the early development and establishment of luxury game lodges, to the reintroduction of wildlife, international marketing trips, lecturing on animal behavior at Oxford University, and doing the first live radio interview from my 4×4 in the bush. I have been privileged to spend years observing animals and their behavior in their natural environments. I spent six months tracking and filming one leopard, and have spent more than six years closely following a pack of wild dogs in Northern Botswana. I am a real enthusiast of this socially complex, endangered species. I have a great passion for birds and whenever I travel my binoculars are always close at hand. My other interests include frogs, butterflies, paleo-anthropology and human origins. Of course, there is also my photography! I enjoy photography and getting the right shot…..and I have been lucky to win a number of local and international photography awards over the years. Today I focus on many spectra of the wildlife field: private guiding, photography, tourism marketing and conservation. I offer privately guided safaris in some of the most pristine and remote wilderness areas in Africa. I am regularly called upon to assist in the production of wildlife documentaries and am currently featured in a TV series called “Mad Mike and Mark” which is screened internationally on Animal Planet.